The Tamar Valley hosts many of the states premium wineries. They are mainly located in 4 broad areas. 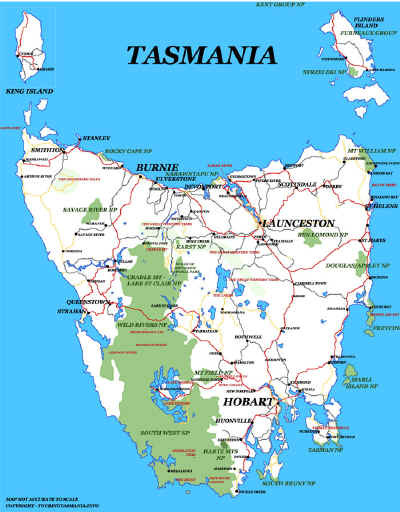 They are just north of Launceston on the West Tamar around Rosevears, a little further north around the Batman Bridge and across the north coast east of George Town. A recent area developed is at Relbia on the southern outskirts of Launceston. 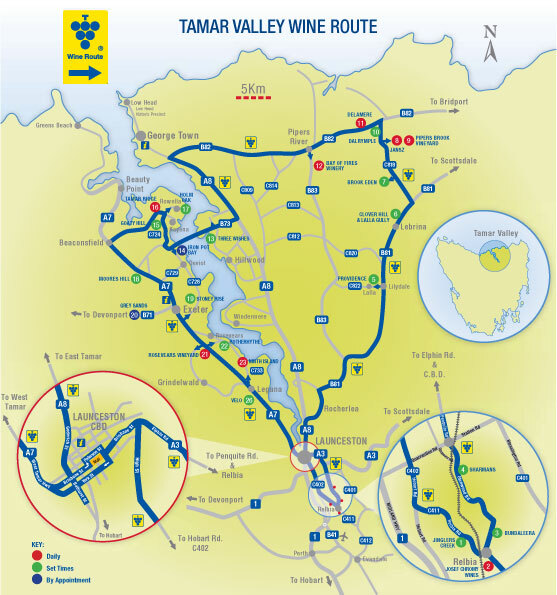 The map has been supplied by the "Tamar Valley Wine Route".